If you are not sure how to find the File Manager, please reference the Accessing the File Manager article. 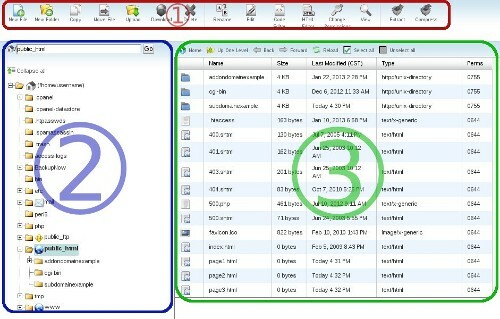 Once you are in the File Manager, you will need to know the different parts of the File Manager and how to navigate it. We have separated the File Manager into three sections: the Toolbar, the Directory Listing, and the File Listing. Section 1 (Red)- This top bar is the Toolbar. 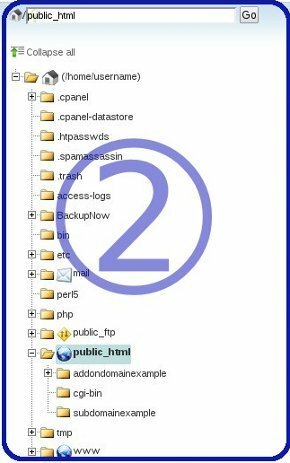 You will find all of the basic functions for managing files here. Section 2 (Blue) - This left section is the Directory Listing. Here you will find a listing of all the directories (folders) present on your account. Below you will find a list of actions you can perform in this section. Section 3 (Green) - This right section is the File Listing. Here you will find a listing of all the files of whichever folder is currently selected. Below you will find a list of actions you can perform in this section. Double click the blue folder icon in the File Listing. Alternatively, click on the yellow folder icon in the Directory Listing. Either way will display the contents of that folder in the File Listing. Tip: If you want to jump to a folder that is buried in several other folders, use the Directory Listing. You can click the plus (+) next to any folder to see any folders within that directory, and navigate to the desired folder. Clicking on folder will display its contents in the right section, the File Listing. 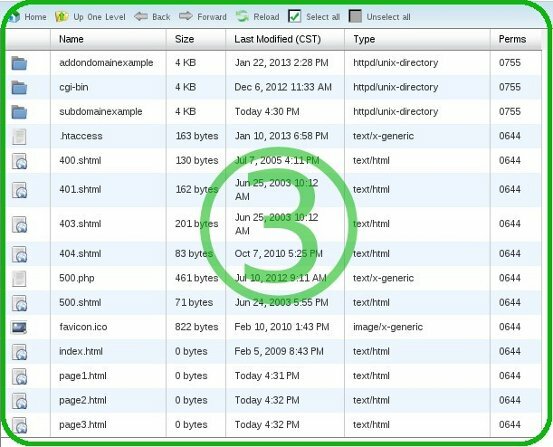 At the top of the File Listing section, click the Up One Level link, and you will be placed in the preceding or parent folder of the one you are currently in. Alternatively, click on the appropriate folder you want to switch to from the Directory Listing.